Family Circle 150 Quick and Easy Meals April 1991. Articles inside include Rise and Shine Breakfasts, Stir-Ups, Pasta Presto, 150 No Fuss Meals, Fish, and more. Filled with great illustrations and advertising. Magazine is complete and in good condition, slight wear at edges, tear on spine. 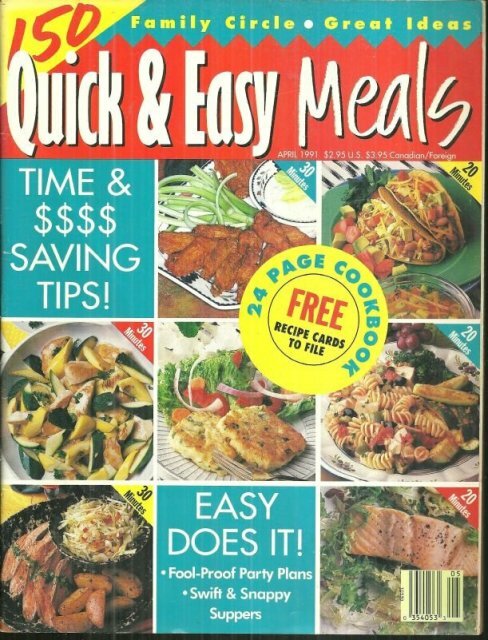 Items Similar To "Family Circle 150 Quick and Easy Meals April 1991"